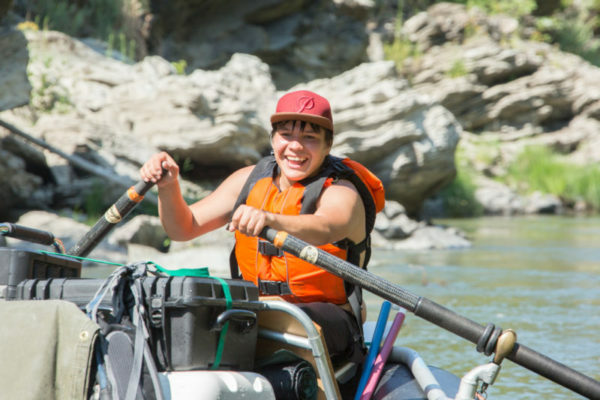 On July 29, youth from the Klamath Basin and Patagonia, Chile will celebrate the final day of a three-week journey on the Klamath River from its headwaters at Crater Lake to Requa, where it meets the Pacific Ocean. The celebration welcomes more than 50 people to shore in traditional Yurok redwood dugout canoes, rafts, and kayaks with a Yurok ceremony, food, family, art, and presentations. The international non-profit organization Ríos to Rivers organized the exchange with youth from two continents who are seeking to understand the threats facing their watersheds and to develop the skills needed to protect the rivers they call home. Beginning July 9th, Chilean and Klamath Basin youth traveled from the headwaters to the mouth of the Klamath River learning about fisheries, water quality, water allocation, dams, food security, and the cultural traditions of Klamath Basin tribes. Next February, the Klamath Basin youth will travel to Chile to explore the rivers of Patagonia. There they will learn about Chilean culture and the common threats to the health of their rivers. The pristine rivers of Chile are threatened by massive proposed dam projects. Participants in the exchange program took a tour of the Klamath River dams and learned about the plans to remove the four Klamath River dams in 2020. This will be the largest dam removal project in world history. Klamath, Karuk, Hoopa, and Yurok Tribes, eight youth from Patagonia Chile, and adult volunteers with Rios to Rivers, Ancestral Guard, The Warrior Institute, and Klamath Riverkeeper. Also joining the organizations was Chilean actress and activist Juanita Ringeling, who lives in California and supports environmental causes in both countries.